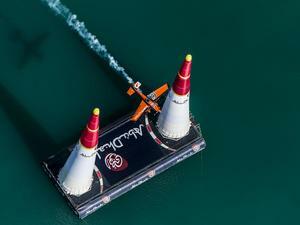 Red Bull Air Race 2019 - Abu Dhabi Feb 26, 2019 On 8 - 9 February 2019, the pilots of the Red Bull Air Race will once again will be cleared into the track to kick off the season in Abu Dhabi. For the 12th season in a row, the stunning blue waters of the Corniche will set the scene for the action-packed season opener and a brand new World Championship. 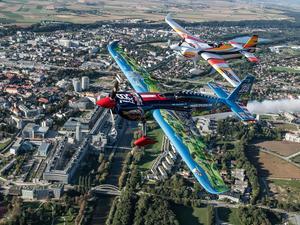 Red Bull Air Race 2018 - Wiener Neustadt Sep 16, 2018 The Red Bull Air Race returns to its Austrian roots for the sixth race of the season as it lands in the stunning town of Wiener Neustadt on 15-16 September. Set in the Lower Austrian Alps near the capital city of Vienna, Wiener Neustadt is the perfect spot for the Red Bull Air Race to return to the country where on the 28 June, 15 years ago the series began! With the crisp mountain air making it perfect for racing it has the potential to be the race of the season. 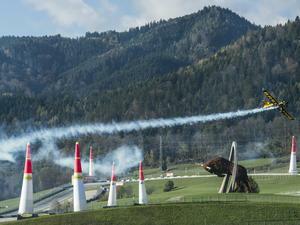 Follow the Red Bull Air Race here! Red Bull Air Race 2018 - Kazan Aug 26, 2018 The Red Bull Air Race returns to Russia for the second time in the motorsport's history. The pilots touch down in Kazan on 25-26 August 2018. Kazan is the capital of the Republic of Tatarstan in Russia and home to more than a million people. 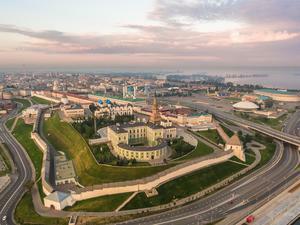 The city lies at the meeting point of the River Volga and Kazanka River, which is overlooked by the Kazan Kremlin – a World Heritage Site. 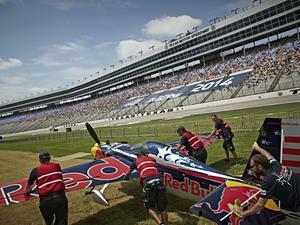 Follow the Red Bull Air Race here! 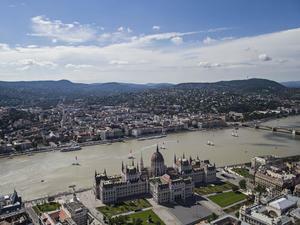 Red Bull Air Race 2018 - Budapest Jun 24, 2018 Budapest is the spiritual home of the Red Bull Air Race and will once again be the mid-season stop on the calendar. The Hungarian capital always pulls in a monumental crowd to witness the racing action. 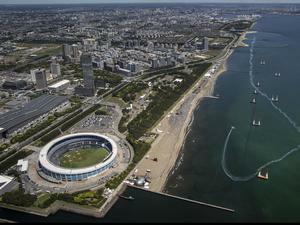 In 2009, 650,000 spectators lined the banks of the Danube. 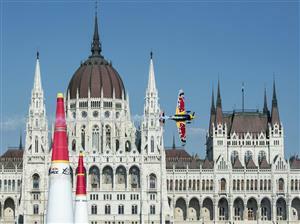 For this season, the pilots head to Hungary on 23-24 June. Follow it here! 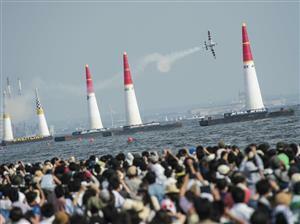 Red Bull Air Race 2018 - Chiba May 27, 2018 The skies above Chiba will once again become a motorsports battleground, when the home of the Samurai welcomes back the Red Bull Air Race for the fourth time. The sprawling metropolis of Chiba is renowned as the birthplace of civil aviation in Japan and will host the sport again on 26-27 May. Join us! 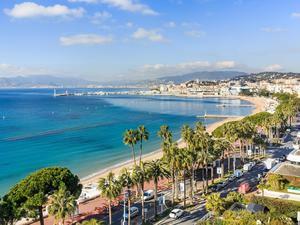 Red Bull Air Race 2018 - Cannes Apr 22, 2018 For the first time in the history of the Red Bull Air Race, the pilots will be going head-to-head in France, in the beautiful city of Cannes on 21-22 April 2018. With five French pilots in the series (three Masters, two Challengers) it will be their first opportunity to experience a home race, and it will be one to remember. Red Bull Air Race 2018 - Abu Dhabi Apr 19, 2018 Abu Dhabi plays host to the Red Bull Air Race for the 11th time in 2018 on Friday 02 and Saturday 03 February! It will once again set the scene as the action-packed season opener for a brand new World Championship. Red Bull Air Race 2017 - Lausitzring Oct 6, 2017 2017 will see the Red Bull Air Race World Championship return to the Lausitzring after a brilliant round last year. In 2016 when the pilots touched down in the 3.2km (2 mile) tri-oval racetrack, formerly known as Lausitzring, it was the pivotal sixth race of the season. 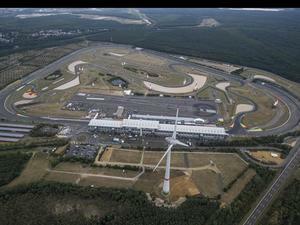 This year it will represent the penultimate race! 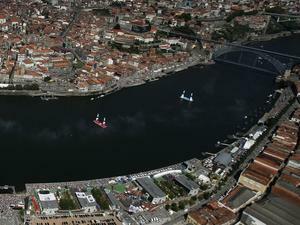 Red Bull Air Race 2017 - Porto Sep 26, 2017 Porto has hosted the Red Bull Air Race from 2007 through to 2009 and proved hugely popular with the fans as they lined the Douro River to watch the amazing action. It's back in Portugal on 2-3 September – follow the Red Bull Air Race here! Red Bull Air Race 2017 - Kazan Sep 26, 2017 Russia will see its first race in the history of the Red Bull Air Race World Championship when the series arrives in Kazan on 22-23 July 2017. Known as the 'Sports Capital of Russia', the city has hosted iconic events as the World Fencing Championship, the World Aquatics Championship and is a host city for both the 2017 Confederations Cup and the 2018 FIFA World Cup. 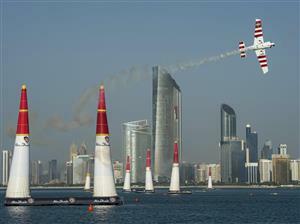 Follow the Red Bull Air Race here! 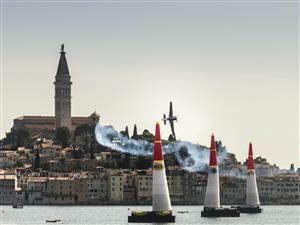 Red Bull Air Race 2017 - Budapest Sep 26, 2017 Budapest is the spiritual home of the Red Bull Air Race and will once again be the fourth stop on the 2017 World Championship calendar on 1-2 July. As one of the most popular stops, the Hungarian capital always pulls in a monumental crowd to witness the racing action. Follow it here! 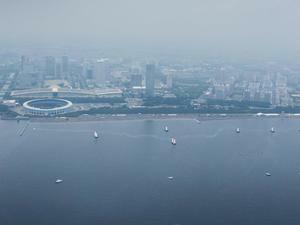 Red Bull Air Race 2017 - Chiba Sep 26, 2017 The Red Bull Air Race World Championship touches down once again in Japan on 3-4 June 2017, in the sprawling metropolis of Chiba City. Chiba is renowned as the birthplace of civil aviation in Japan and is famed for its samurai and warrior heritage. 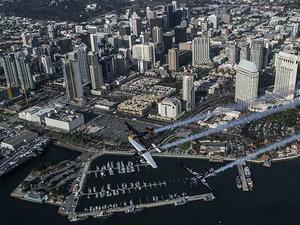 Red Bull Air Race 2017 - San Diego Sep 26, 2017 The Red Bull Air Race World Championship makes a welcome return to San Diego on the 15-16 April 2017. Set on the Pacific coast of California the location provides the perfect backdrop for a race. Red Bull Air Race 2017 - Abu Dhabi Sep 26, 2017 Abu Dhabi plays host to the Red Bull Air Race for the 10th time in 2017 on Friday 10 and Saturday 11 February! It will once again set the scene as the action-packed season opener for a brand new World Championship. 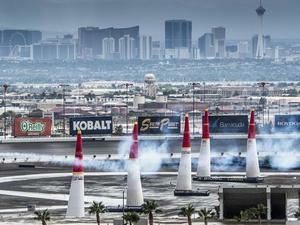 Red Bull Air Race 2016 - Las Vegas Oct 17, 2016 For the final race of the 2016 the glitz and glamour of Las Vegas welcomes back the Red Bull Air Race to the Las Vegas Motor Speedway for the third consecutive year. Join us for the big season closer on 15-16 October. Red Bull Air Race 2016 - Indianapolis Motor Speedway Oct 13, 2016 It's a first outing for the Red Bull Air Race in Indiana, USA, with the state capital Indianapolis set to experience the high-speed, low-altitude racing at the heart of the World Championship. 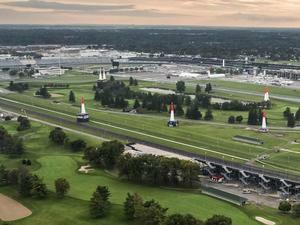 Fans can see the adrenaline-packed action unfold above the Indianapolis Motor Speedway when the Red Bull Air Race touches down in Indianapolis on 1-2 October. Red Bull Air Race 2016 - EuroSpeedway Lausitz, Germany Sep 27, 2016 The Red Bull Air Race World Championship returns to Germany for its second ever race at the EuroSpeedway Lausitz. The last time the pilots touched down in the 3.2km (2 mile) tri-oval racetrack was during the 2010 World Championship, where it played host to the nail-biting season finale. We are back on 3-4 September and home hero Matthias Dolderer is hot favourite! Red Bull Air Race 2016 - Ascot, UK Apr 27, 2017 - 12:23 PM BST Home to Europe's premier horse-racing event, Ascot plays host in the UK. Ascot is situated in beautiful wooded countryside, not far from London, and depicts an idyllic portrait of traditional British sporting heritage. Join us for the full-throttle action on Saturday 13 and Sunday 14 August! Red Bull Air Race - Budapest 2016 Jul 17, 2016 The iconic Chain Bridge in Budapest will once again feature in the Red Bull Air Race calendar, when the World Championship heads to the Hungarian capital for 2016. The fourth round will give us plenty of action after three different winners so far this season. Qualifying on Saturday 16 and Race Day Sunday 17 July! 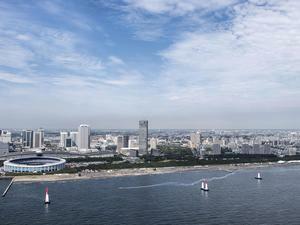 Red Bull Air Race - Chiba 2016 Dec 11, 2018 Returning for its second year to the Makuhari Beach across from Tokyo Bay in Japan, Chiba welcomes the Red Bull Air Race once again. The third round of 2016 will give us plenty of action as we see who has the potential to break away from the pack. Qualifying on Saturday 04 and Race Day Sunday 05 June! Be with us for an epic weekend of racing! Red Bull Air Race - Spielberg 2016 Apr 24, 2016 Returning for its third year to the famous Austrian race location for 2016, Spielberg takes its Red Bull Air Race hosting to new heights. The competition this year is the hottest in history with a fresh crop of new talent and seasoned racers hungry for the win! Qualifying on Saturday 23 and Race Day Sunday 24 April! Be with us for the supercharged second stop of the season! Red Bull Air Race - Abu Dhabi 2016 Mar 12, 2016 Returning for the ninth year as the season opening round in 2016, Abu Dhabi takes its Red Bull Air Race hosting to new heights. The competition this year is the hottest in history with a fresh crop of new talent and seasoned racers hungry for the win! Qualifying on Friday 11 and Race Day Saturday 12 March! Be with us for the season start! 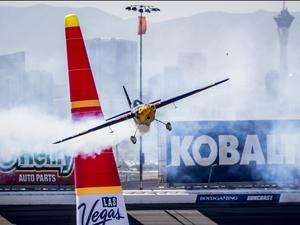 Red Bull Air Race 2015 - Las Vegas, US Nov 6, 2015 - 3:51 PM BST Known as the city that never stops performing, the neon lights and non-stop party atmosphere make Las Vegas an electrifying final stop on the 2015 calendar. 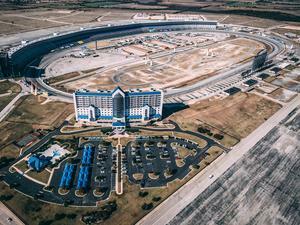 Red Bull Air Race 2015 - Fort Worth, USA Oct 5, 2015 Texas, known affectionately as the 'Lone Star' state, is the second largest in the USA. The enormous geographic area includes the Fort Worth counties, which transformed themselves from a sleepy cattle rearing territory, to a bustling metropolis representing the economic and cultural hub of North Texas. 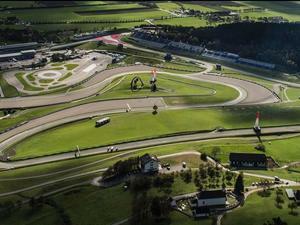 Red Bull Air Race 2015 - Spielberg, Austria Oct 5, 2015 The Red Bull Ring in Spielberg will welcome back the race pilots as they touch down in September 2015 for a showdown at the world-famous racetrack. 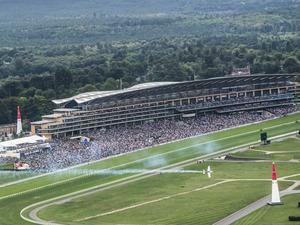 Red Bull Air Race 2015 - Ascot, UK Aug 10, 2016 Home to Europe's premier horse-racing event, Ascot plays host in the UK.Ascot is situated in beautiful wooded countryside, not far from London, and depicts an idyllic portrait of traditional British sporting heritage. Without doubt the centerpiece of the village is its famous racecourse, which has put Ascot on the global map and dates to the 1700s. 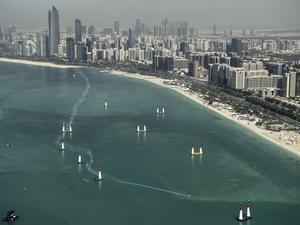 Red Bull Air Race - Abu Dhabi 2015 Oct 6, 2015 Returning as the season opening round in 2015, Abu Dhabi takes its Red Bull Air Race hosting to new heights with the destination having much more to see and do than ever before.